December sees the last of the autumn colors as winter sets in and preparations begin all over town for end-of-year festivities. The last of the colorful autumn foliage falls and winter tightens its grip on Kyoto come December, but the days are still lively. 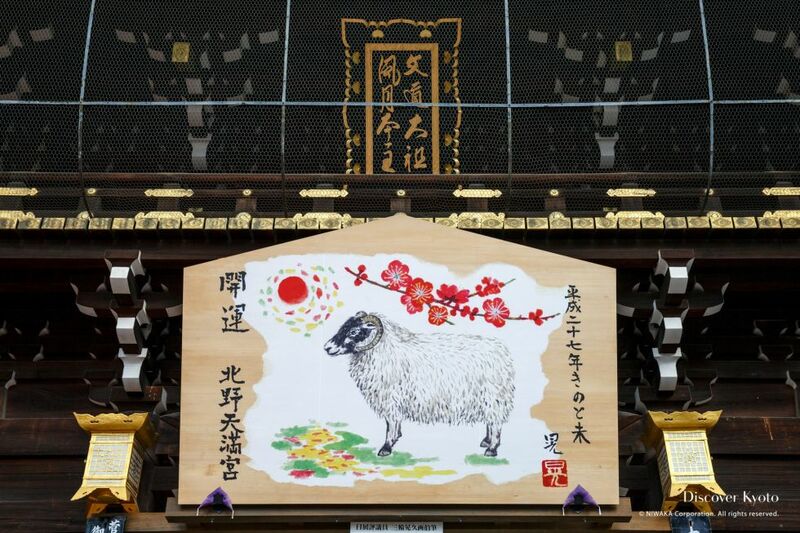 The New Year's is an important tradition in Japanese culture, and shrines and temples alike prepare numerous rituals and celebrations to cleanse the events of the present year and prepare for the next. Famous flea markets set up around the city, light-ups showcase the scenery, and festivals are held, no matter the cold! 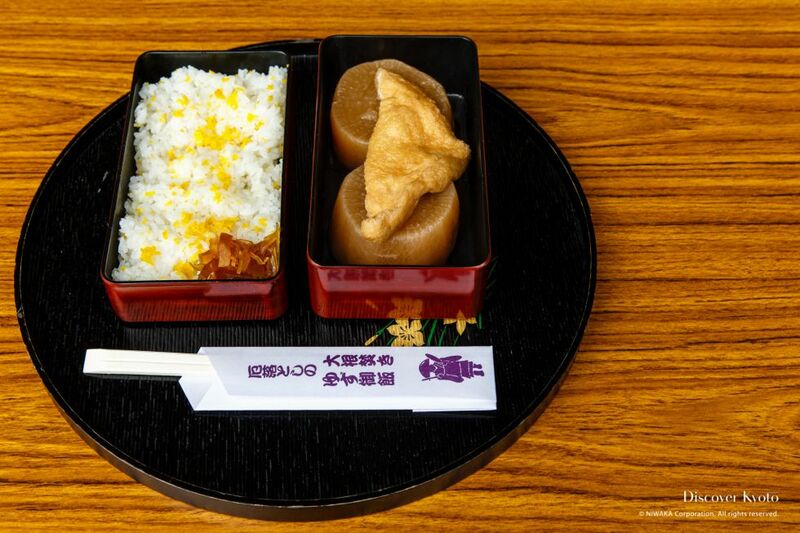 Sanbō-ji uses the Daikondaki to celebrate the death anniversary of the Buddhist sage Nichiren, who founded their sect in the 13th century and propagated the Lotus Sutra as the true way to Enlightenment. 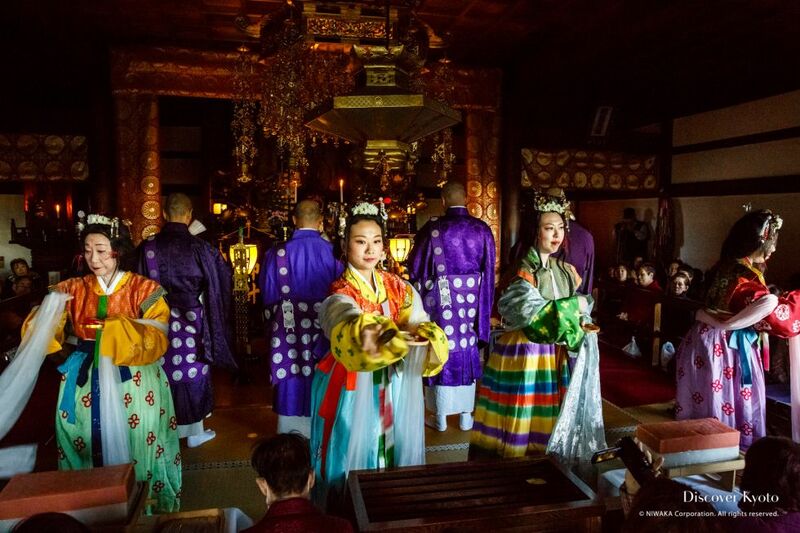 Hari Kuyō, or Needle Memorial Services, are held at Buddhist temples and Shinto shrines to give thanks to needles for their hard work throughout the year. 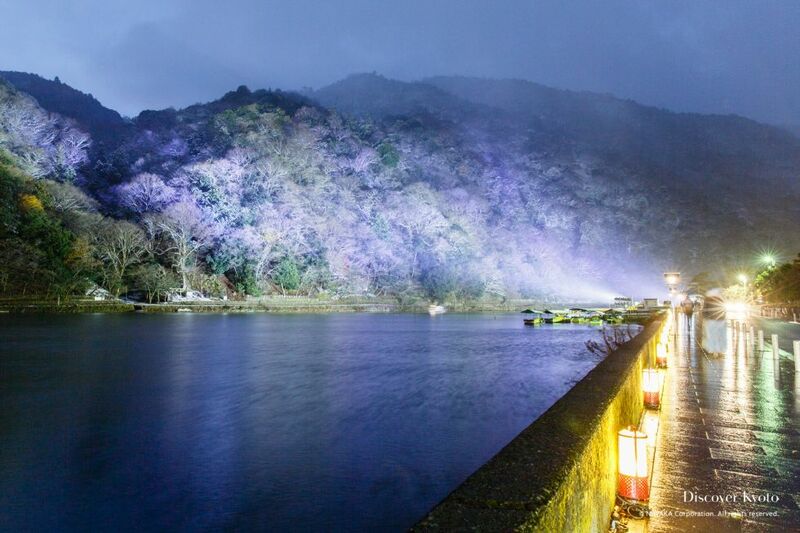 For ten days in December the mountainside area of Arashiyama in western Kyoto is brilliantly illuminated with open air lanterns and bright lights that arc through trees and bamboo to make an amazing nighttime sight, the Arashiyama Hanatouro Festival. The story of the 47 Rōnin is a classic said to embody the spirit of the samurai code of honor, in which forty seven retainers left without a master when their lord was forced to commit suicide planned for years and took revenge against the man who slighted him. 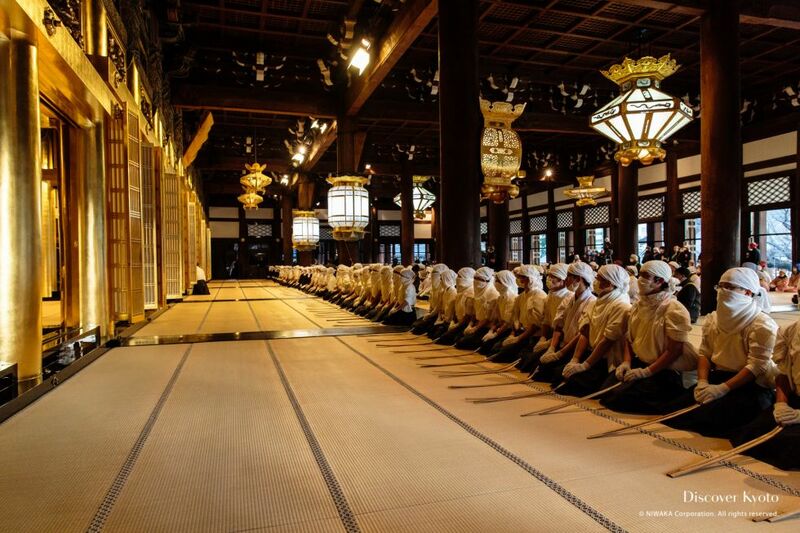 Hōjū-ji holds its 47 Rōnin Memorial Service each year on December 14th, the anniversary of the night when the samurai sacrificed their lives to clear their lord's honor. 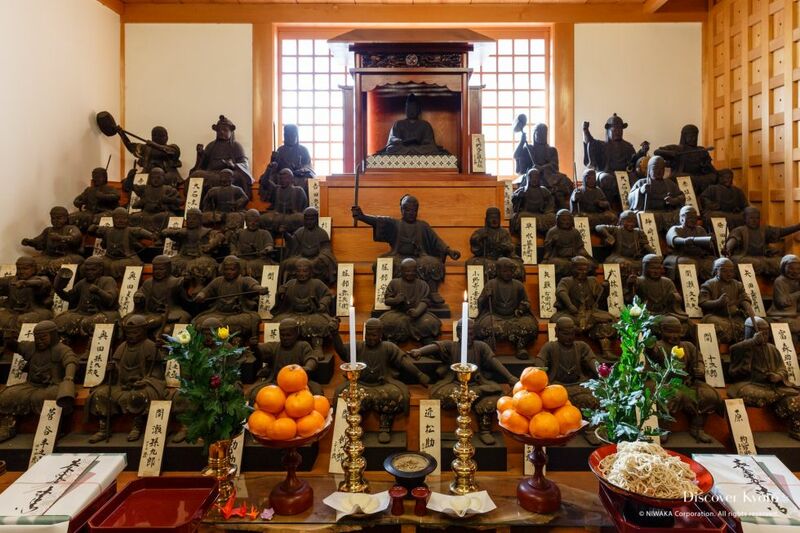 Nishi Hongwan-ji, a large Pure Land temple near Kyoto Station, hosts their Osusuharai in late December, and volunteers from the local area as well as constituents from all over the country come to help clean the temple before the New Year. 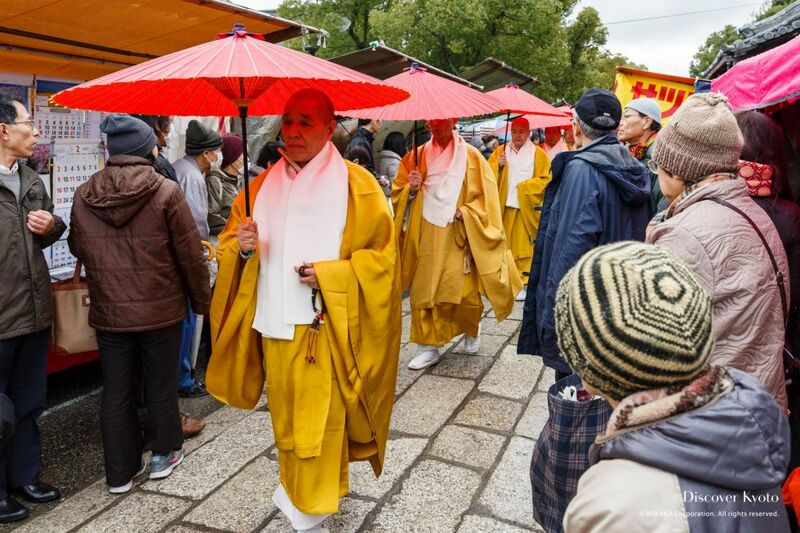 On the 21st of every month a large flea market is held on the grounds of Tō-ji in honor of the famous Buddhist priest Kōbō Daishi, who headed the temple in the 9th century. 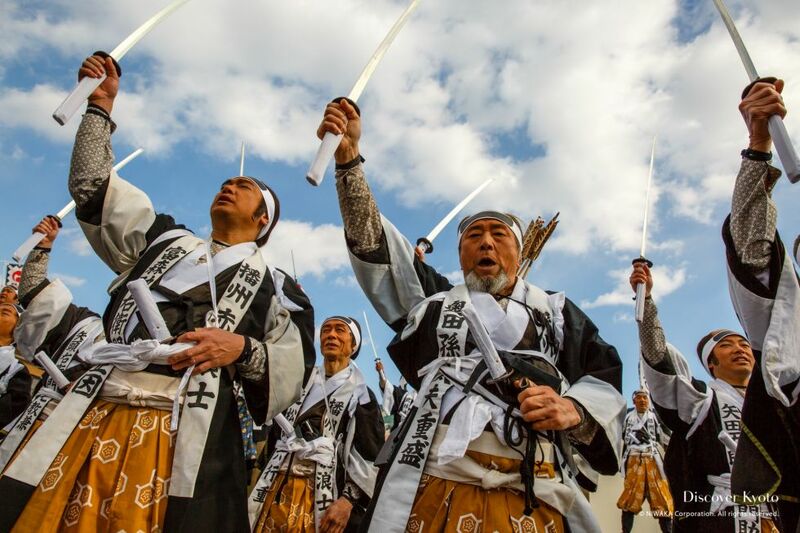 When the 25th of the month comes along it's time for the monthly flea market held around Kitano Tenmangū, one of the most famous shrines in Kyoto.